I write things here that interest or amuse me, and that I think are worth sharing. They might be topical, or 'cold case', educational or trivial; the only rule is that they will have something to do with genealogy. The release of a new census is always an exciting event. Even if it another country's census you can still join in the excitement. Like many other Brits I have 'cousins' in the USA, so I had a personal interest in the 1940 census, as well as my general interest in all things genealogical. There are some interesting comparisons to be made between US and British census records, but the first thing that struck me was that the (near) instant availability of images with no indexes was rather a good thing. 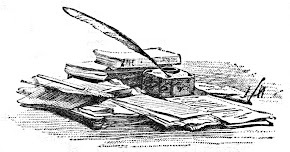 There have been so many advances in recent decades in the way that records are made available to us that it can make your head spin; so much basic genealogical source material is not only online but name-indexed that we can easily take it for granted. When I started doing family history research the way to find someone in the census was to establish the address where you hoped they would be on census night, and search there. If you didn't find them there, you trawled the surrounding area until you found them (or not). There were place indexes but not many name indexes. Do I want to go back to those days? Of course not. But there was one big advantage of doing it the hard way; you had no choice but to look at the town or village where your ancestors lived. You might notice in passing some other family members that you wouldn't have gone looking for, and you get a sense of the ancestors' immediate surroundings. In short, you see your family in context. Looking for people in 1940 is a little bit like that, where you can find someone if you know where they were living then and are prepared to take the trouble . Millions of people certainly tried, and I could tell from messages on Twitter and in blogs that at least some of them succeeded. It wasn't really surprising that not everyone could get through or view images in the first few hours. This always happens when there is a really big online release. The demand is always huge in the first hours or days, well in excess of the number of the hits the site will get on a daily basis after that. It strikes me that if a site was equipped to accommodate everyone who tried to use it on day one, it would be massively over-resourced as soon as the initial rush subsided; rather like cities that have hosted the Olympics and then find themselves with an oversized airport and too many hotels. Frustrating as it may have been, the fact that some people were able to find and download pages, rather than sites crashing altogether has to be encouraging. Like many other people I had to give it a try on 2 April, and like many of them I couldn't get through to the image I wanted. I had another go early next morning (GMT) while most of America was asleep, and it worked like a charm! I found great-great-great-uncle Robert in the small town in Minnesota where I knew he'd be. When America woke up again things seemed to have calmed down, and since then people have been finding people at a furious pace. All the images are online, on one site or another, and the first indexes have appeared. Pretty impressive for a country the size of the USA, and in less than a week. We can get awfully impatient, we 21st century people, but as genealogists who deal in decades and centuries we should be capable of taking a more long-term view, we really should. Amy Coffin (whose We Tree blog is always worth reading) hit the nail on the head when she said on Twitter 'Ok people, you're allowed 3 complaint tweets about the #1940census, then you have to take a chill pill. Pretty generous if you ask me.' (Also well worth following on Twitter @ACoffin). Having found my own relative in the 1940 census, and a few others I am interested in, I started making my contribution to the common good by logging on to FamilySearch Indexing and transcribing some pages. This is a novel feature of this census, that it is the subject of a massive collaborative project between NARA, Archives.com, FamilySearch and Findmypast.com. This is feasible with American records because the images are freely available for anyone to use, unlike in the UK where the images are Crown Copyright. 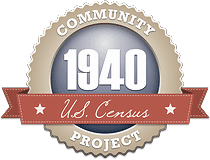 So you can also find the 1940 census images on other sites, Ancestry.com and MyHeritage.com (who produced the first online index, for Bristol County, Rhode Island). The race is on, and it's fascinating to watch. Thanks for the mention. I actually had someone snap at me for that tweet, which proved my point that some people needed to chill out! Glad you have some success with the 1940 census. Although I work for The National Archives, any views and opinions expressed here are entirely my own, and do not represent the official position of that organisation. © Audrey Collins 2010. Travel theme. Powered by Blogger.